Go to ALDI careers page at aldi.com/careers, and then you can enter certain keywords, location or select a radium to search for jobs. Or you can scroll down your mouse and search for jobs by job category and levels. 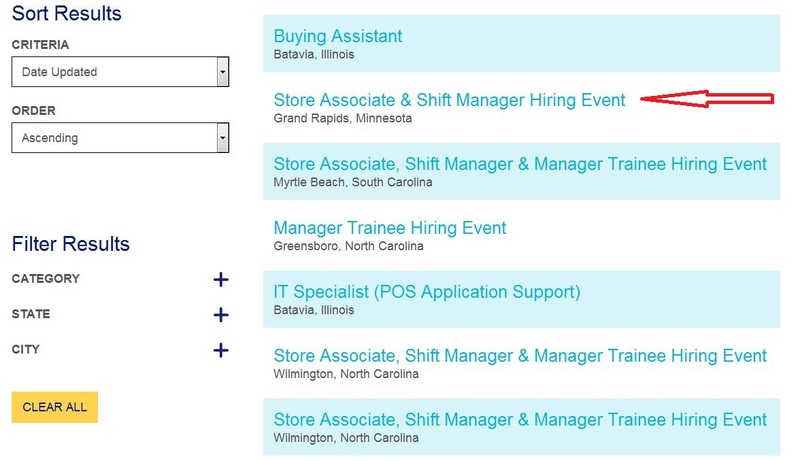 Tips: If you choose to not enter a word and click the button the red arrow pointed in the below image, and you will see all current job openings in ALDI. With certain info entered or directly clicking the search button, you will then be directed to a page with all relevant job openings listed. You can sort your results by criteria or order, or filter results by category, state or city. Select a proper position and click it to go to the nest step. 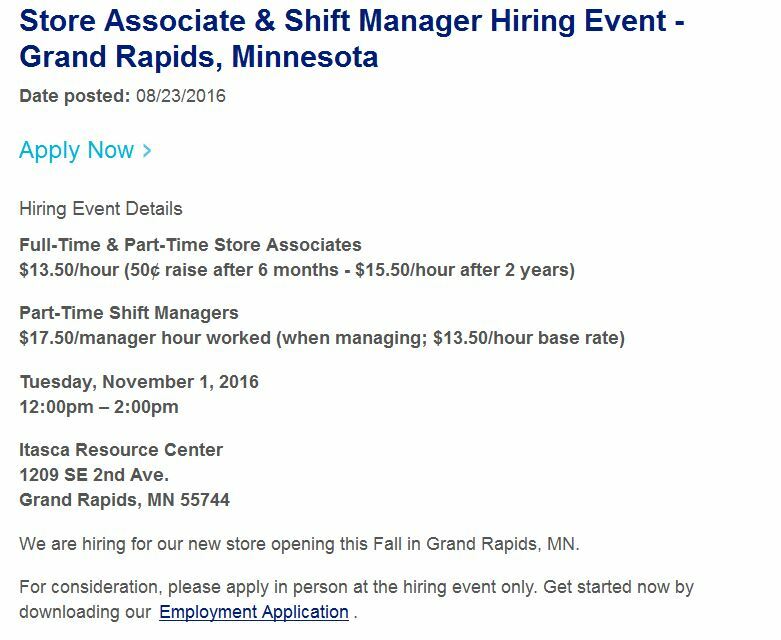 Take Store Associate & Shift Manager Hiring Event for instance. After selecting and clicking the position, you will see a detailed job description. Read it thoroughly to make sure that the job you are about to apply for is suitable for you. Then click “Apply Now” to move on. In this step, you will be displayed a printable ALDI job application form. Print it out and fill in it with all needed information, and then you shall submit it to one of the ALDI stores nearby. 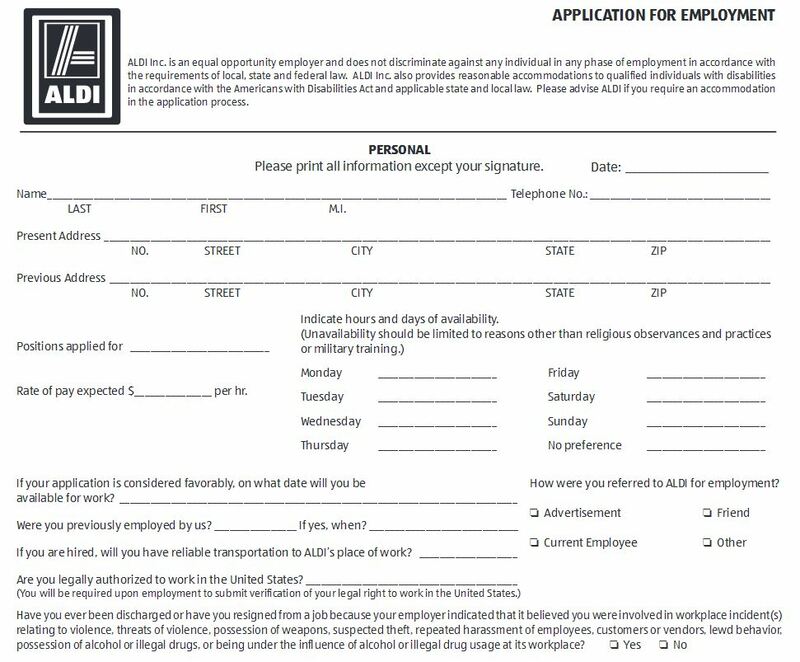 Or you can find a free and printable ALDI job application form listed below in the page and download it. Click aldi.com/jobs to apply for ALDI jobs online.